WIRTB: New Smackdown Women and Tag Titles?? 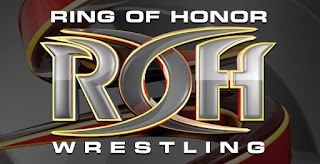 Hello everyone and welcome to another ROH TV review, it's time for your weekly dose of honor as Death Before Dishonor is officially in the books and we have a new world champion in Adam Cole Bay Bay. The show featured Matt Taven on commentary this week, which is great because he's really entertaining in the position, so I hope that this will continue and hell when he begins wrestling again, I hope he wrestles matches with a headset so he can do commentary on his own matches because that would be totally amazing. Anyway, let's get to the action beginning with the first match of the night. Okay so confession, but I don't know who is Shane Taylor and who is Keith Lee, does it even matter? The match begins and all four guys begin brawling almost immediately after the bell rings. On the outside of the ring, Shane runs headfirst into the guardrail, as Hanson is able to move out of the way. Back in the ring, Hanson kicks Taylor in the face before delivering a bodyslam to Lee. Some miscommunication occurs as Rowe accidentally hits Hanson with a shotgun knee in the corner. Lee and Taylor hit Rowe with a powerslam splash combination to get a near fall. Rowe recovers and slams Lee before tagging in the much fresher Hanson. Lee recovers and slams Hanson in the middle of the ring. Rowe gets a running head start and dropkicks Lee while he is holding Taylor to get a near fall. Hanson comes off of the top rope, but gets caught by the throat as Lee and Taylor deliver a double chokeslam. Hanson and Rowe hit a springboard clothesline/German Suplex combination for a near fall. Rowe follows it up with another sit out powerbomb for a near fall. The match ends when Lee and Taylor defeat War Machine after a sitout powerbomb on Hanson from Shane Taylor. So this match wasn't really a match, the only thing that really happened was that J Diesel picked up Cheeseburger for a bodyslam and throws him to the outside onto both David Star and Tough Tim Hughes. After that the lights went out and Punisher Martinez appeared in the ring and destroyed everyone. So Punisher Martinez is a total badass and he saved me from having to suffer through a match involving Cheeseburger, therefore he's cool in my book. We go to the next match of the night. The match begins and Dalton starts by headlocking everyone in the match. Dalton hits Coleman with a variation suplex. Dalton starts throwing all of the cabinet members onto each other. Dalton hits Rhett with a German suplex to pick up a near fall. The Cabinet gets the advantage and eventually picks up the win via pinfall after a leg drop splash combination off of the top rope. Match Result: The Cabinet defeats Dalton Castle and The Boys via pinfall after a leg drop splash combination from the top rope. 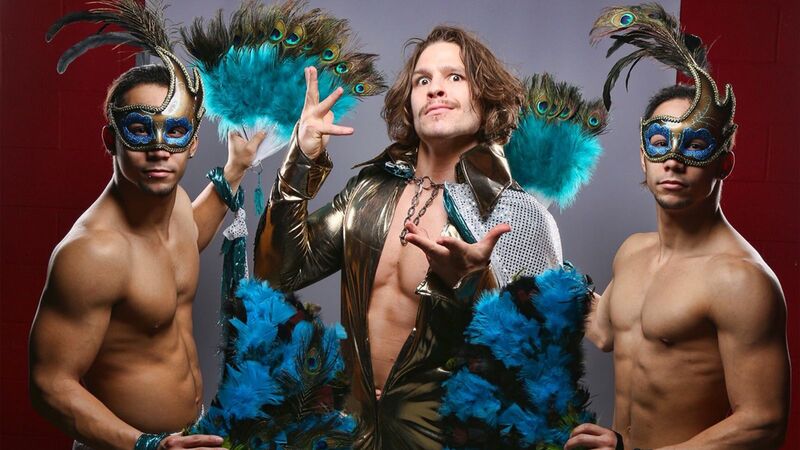 I never thought in my wildest dreams that I would be cheering for the Young Bucks to win a match, but here we are. They are the lesser of two evils because I'm not a fan of either of the teams in this match. The match starts in the entry way as all four men begin brawling. Kazarian clotheslines both the Bucks on the outside of the ring sending them to the concrete floor. The Bucks hit Kazarian with a superkick on the outside while he has a ladder positioned around his neck. Nick kicks Kazarian's face off with a Super Kick and he then springs into the ring and hits an X Factor before moonsaulting onto Daniels, who is on the outside of the ring in a pretty cool sequence. Matt hits an apron DDT and follows it up with a splash on Kazarian for a near fall. Daniels hits Nick with a superkick before he gets kicked in the face by Matt. Sabin runs into the ring and hits Matt with a steel chair to allow Daniels to get the pinfall victory and the Addiction pick up the win. Match Result: The Addiction defeat The Young Bucks via pinfall after a chair shot to Matt Jackson from Chris Sabin. The one time I cheer for the Young Bucks to win a match they end up losing, just my luck huh? 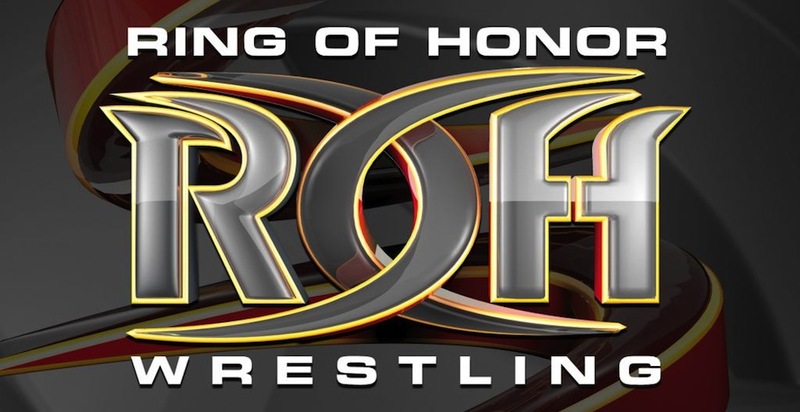 That however will do it for me for another ROH TV review. A mixed bag of stuff this week as there were technically four matches on the show. We are in a bit of a transition period now, but we shall see where it goes in the next few weeks.